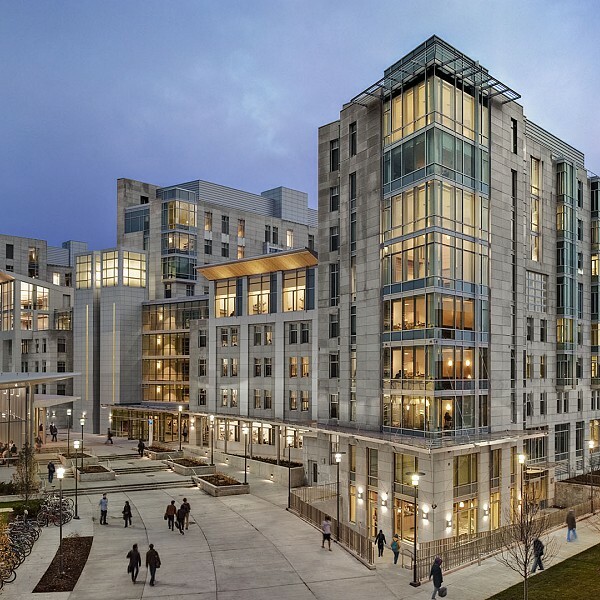 Description: This project encompasses 367,000 sf of undergraduate residential and dining facilities adjacent to the University’s historic Burton Judson Courts residence halls. Three new mid-rise towers provide a total of 800 beds in singles, doubles, and apartment suites as well as lounge areas, dining, and support spaces. The new dining facility, which serves both the new and existing dorms, is linked to and expands existing historic dining spaces and includes a new 119-seat retail dining component. As part of this challenging project, Cosentini commissioned detailed wind and air contamination studies to define the requirements for the termination of the dining hall exhaust and generator flue. Cosentini also conducted detailed analysis to define the building envelope characteristics and to define the impact of two-pipe versus four-pipe systems on building environmental comfort.